1. Place the apple as well as carrot in a bowl. 2. Mix together the lemon juice, cinnamon, and mint in a glass. Drizzle over the apple and carrot mixture. Toss to blend. 3. 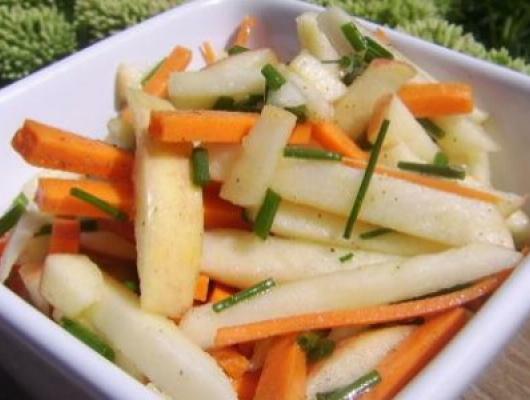 You will have an appetizing apple and carrot salad.